David, I shall be back for spindles etc. Fantastic helpful staff, a lot of businesses could learn a thing or two from UK Stairparts. The Very Finest Staircase Components & Stair Parts, Manufactured to a Professional Standard. 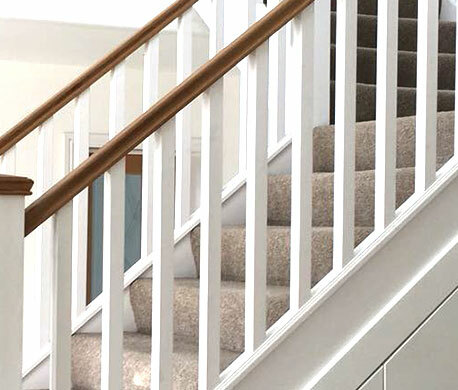 UK Stair Parts has developed a solid reputation when it comes to supplying the very best staircase parts and accessories at fair, affordable prices. Our customers appreciate the level of customer service they receive from us, as we continue to strive for 100% customer satisfaction. We seek to ensure every customer we speak to gets their hands on the stair parts needed to create their dream stairway design and structure. As a company we have the aim to provide all customers with expert knowledge to ensure a successful outcome. Whether you are looking for chrome stair parts or oak stair parts, we have you covered for all your staircase refurb and replacement requirements. Our family run business has worked passionately over three decades to ensure the service we deliver is as good as the parts we supply. During this period, we have made a conscious effort to enhance our stair part collection. 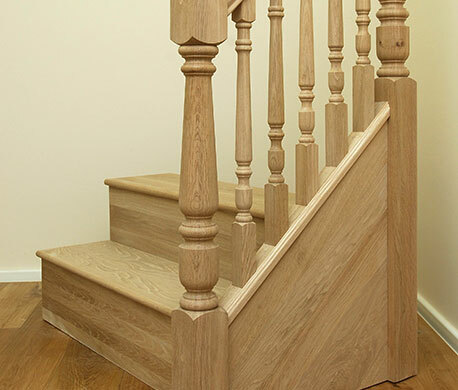 We now offer more than ever in terms of high quality parts and accessories, which consists of handrails, baserails, spindles, newel posts and caps, banisters and balustrades, with a range of wood choices available. Treads, risers and iron on veneers make up the rest of our stair part collection. Within our product range you will find stair and handrail parts made of pine, hemlock, mahogany, ash and chrome, with oak stair parts providing to be one of the most popular. Although we currently offer a comprehensive range of designs for all wood choices, we also have the ability to create bespoke stair parts or components made from an alternative timber or with a completely unique design. We’d encourage anyone looking for custom designs to get in touch and we will assist you moving forward. What Staircase Accessories do we Offer? Alongside our usual stair parts we offer a range of metal and wooden handrail accessories, consisting of handrail brackets, endcaps and fixing kits. End grain plugs, adhesives and finishing products (such as waxes stains and varnishes) can also be purchased. 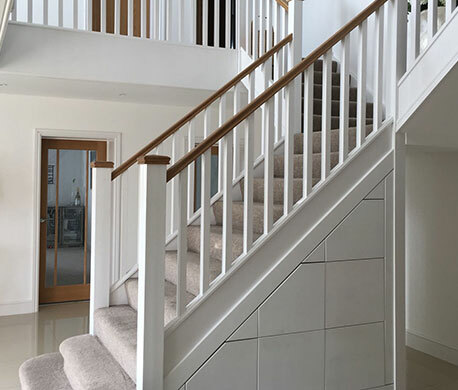 Accessories found on the UK Stair Parts website are designed to complement your stair parts and help you to build or finish off any staircase design, handrail or structure. When you need to order stair parts online, you can depend on UK Stair Parts to provide you with the quality solutions you need. To order the stair parts or handrail parts you need, you can do so over the phone or by adding products to the shopping basket and proceeding to the checkout. Deliveries are direct to your door, which applies to all UK addresses. You can order online or by calling 01268 284000 to discuss stair parts, accessories or to make your purchase over the phone. Our customer service team are here to answer any questions you have and help you in your quest to find the very best stair parts around. 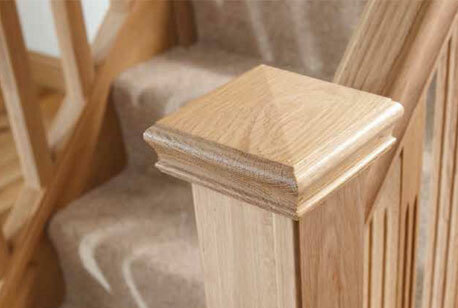 For Chrome, Pine, Mahogany, Ash or Oak Stair Parts, you can count on UK Stair Parts! Over the years we have enjoyed remarkable success and this has only been possible because of you, our wonderful customers. Because of this, we’d just like to say a massive thank you to all who have supported us and provided input during our time of operation. You have helped UK Stair Parts to evolve into the company you see before you today.